Last week, environmentalist Mark Lynas presented an articulate and painfully honest apology for his significant role in starting the anti-GMO movement in the 1990s. He said that it was the most successful campaign in which he has ever been involved, but after finally looking into the science, he now deeply regrets what he and others accomplished. While it is gratifying to have a figure like Lynas make such a turn-about, it does nothing to mitigate the damage of which this anti-science movement has perpetrated on humanity and the environment. Ideally, such a dramatic reversal will induce others in the movement to rethink their positions. but this sort of openness to letting the science speak into bias is likely to be rare. In Europe, politicians influenced by the anti-GMO movement ignored the input from their own scientists to adopt hyper-precautionary and obstructive regulatory barriers to the technology. They have thus limited the ability of their own farmers to satisfy more of the substantial demand that the region puts on global food supplies. The European stance has greatly influenced the policies of many developing nations in Africa and Asia. Such "rich world thinking" denies poor farmers the advances that could significantly improve their food security. See Robert Paarlberg's excellent summary of this phenomenon in his book "Starved for Science." Phobia-driven (or publicity-seeking) vandalism by anti-GMO extremists has delayed or halted several crop innovations by destroying experimental field plots (e.g. 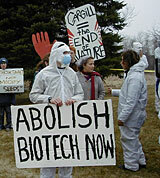 Greenpeace "actions" against biotech wheat, or the destruction of a French field trial of grape rootstocks). The anti-GMO movement has intensified the regulatory environment so that the cost of biotech crop development now requires the resources of a large company. This reduces the potential contributions from smaller start-ups, academics or government sponsored programs. The threat of protests has been most effective when applied to companies with major consumer brands and enough market leverage to dictate what happens for a given crop. The classic case of this phenomenon was how MacDonalds, in three phone calls to major frozen French fry producers, put an end to biotech potatoes in the US and Canada. Potatoes are an extraordinarily difficult crop to improve through breeding because of their complex genetics and vegetative propagation. Biotechnology was a promising way to deliver traits for important pest issues as well as quality and health benefits, and the major potato buyers knew it. However; the risk from brand-damaging protests drove the decision. The specter of consumer backlash (fanned by anti-science propaganda) concerned major wheat importers/millers in Europe and Japan. Their response was to threaten to boycott all North American wheat if a single acre of commercial GMO wheat was planted. US and Canadian growers, faced with such a significant drop in export sales, reluctantly asked Syngenta and Monsanto to halt their biotech wheat programs. For the future the US, Canadian and Australian wheat industries have all decided to block any future blackmail threats by doing a simultaneous launch of biotech wheat when and if it becomes available. In the mean time there has been a multi-decade delay for positive technologies for one of the most important of global food crops. There is a long and growing list of agricultural, environmental, and health improvement that "could have been" if the anti-GMO movement had not been so effective. Some of these are only "nice to haves" like a fine wine. Some of them are significant advances such as potatoes that ward off their major insect and virus pests. Some of them are things like wheat which is less likely to have mycotoxin contamination. Some of them are things that could enable poor farmers to produce more local food with less need for inputs or more resistance to environmental stresses. What Mark Lynas realized is that it is just as detrimental to the future of humanity to ignore the scientific consensus on crop biotechnology as it is to ignore the scientific consensus on climate change. The fact that there are groups successfully blocking rational action on both these fronts presents a synergistically dire threat to efforts to feed humanity. In an ironic twist, today on the way into a computer store I was approached by a young, Greenpeace worker. She asked, "Are you familiar with Greenpeace?" I said, "Yes, I'm a serious opponent." She said, "That probably means you won't want to sign my petition!" I concurred and encouraged her to listen to the Mark Lynas speech which I described because she had not heard about it. I hope she does because her sincere energy to do something good is being twisted into something seriously bad. You are welcome to comment here and/or to email me at savage.sd@gmail.com. To get a message about future posts follow @grapedoc on twitter. Interesting post filled with good information and summary of Lynas's talk. And, I'm a fan of your writing, especially about transgenic ag. I still fail to see how GE and CAGW are yoked. There are ample signs that the gloomy forecasts of Mann, Gleick, Hansen, and et. al., based on their models are wildly off. The planet is significantly greener due to increase CO2 available to plants (http://www.rationaloptimist.com/blog/the-greening-of-the-planet.aspx). That the cloud/water vapor feedback system is more complex than the models predict (http://judithcurry.com/2012/12/19/climate-sensitivity-in-the-ar5-sod/). Most of the skeptics fall into the Lindzen, Curry, Christy, Pielke Sr. camps; these are hardly wild-eyed conspiracy hunters. I don't consider myself an expert on climate change and I realize that any science which can't run controlled experiments has limits (but so does astrophysics). I guess I come at this from my standard agricultural view where climate is super important. What happens to crops isn't anything about averages - it is all about extremes (too hot, too cold, too wet, too dry...) and about subtle shifts (e.g. a number of pests now overwinter in places they never did before, California gets more spring rain and thus more apple scab than ever before). I think of my inclination to look for ways to mitigate even potential climate change as a conservative strategy because the cost would be so high if things do progress that way. I'm a believer that there are actually a great many carbon reduction actions that are actually good for the bottom line anyway. BASF has been a big champion of this in many sectors. I see many opportunities for that in ag as well - most just take some up-front capital or other investment, but totally pencil in the long run. I think if we thought about investment tax credit policy that encouraged things like that we would just be smart. Instead we tend to use trendiness as a standard (e.g. I have solar as a hedge against rising electricity costs, but I fully understand that I won't pay back the carbon footprint of their manufacture of 20 or so years). The AGW discussion is polluted with politics and statists hoping to transfer wealth from citizens to the political class. Just look at how AGW has now morphed into "climate change". Also note that the country that spurned the Kyoto (the U.S.) ripoff is the one that has done best at cutting CO2 emissions while the countries exempted now pollute much more than the U.S. Norm nailed it, the voices of reason are the ones being called fake or extreme when it's actually the alarmist crowd that is doing a disservice to science. Thanks. This is really intended to be a post about biotech crops, but I have noticed that Mark Lynas is willing to take positions that are in contrast to many from the left on climate change. For instance he is supportive of nuclear power and fracking. If there is a statist fringe, it isn't having that much influence. As I said to Norm, the progress I see on carbon reduction is also progress on energy independence and overall economic efficiency which are good by any standard. I see a combination of major corporations and entrepreneurs as our best hope for a great many outcomes related to energy. I do see coal as a rather undesirable way to get energy in any case. What I do see is a global food production system that is in a qualitatively less secure state than any time in a half century - particularly for the world's poor. One more bit of reading that has helped me: Matt Ridley's, "The Rational Optimist" (much of it is synopsed in "How To Shrink the Human Footprint: And How Going Back to Nature Would Be a Disaster for Nature" by Matt Ridley). As for food security, our demand for biofuels is not helping on that front. "The biofuel boondoggle is a truly awful mistake, a 'crime against humanity' in the words of Jean Ziegler, the United Nations special rapporteur on the right to food. Between 2004 and 2007, the world maize harvest increased by 51 million tonnes, but 50 million tonnes went into ethanol, leaving nothing to meet the increase of demand: hence the spike in food prices in 2008, which caused riots..."
"it is just as detrimental to the future of humanity to ignore the scientific consensus on crop biotechnology as it is to ignore the scientific consensus on climate change." Meanwhile, many would argue, reasonably it seems to me, that climate policies have done more harm than good, increasing energy prices which has a disproportionate impact on the poor, while achieving nothing in terms of the stated goals of reducing temperatures. While it is certainly true that there are those on the right who have misrepresented the science on climate change for political reasons, in my opinion this is largely a result of far worse misrepresentation of the science on the left by those who create alarm or apocalypse in order to promote their own political agenda. So while undoubtedly "progressives" blocking of GMOs has done immense harm, it is questionable that those trying to block current climate policies have done any, even if you think they have misrepresented the science in the process. I am also a big fan of your blog, really informative on biotech and ag, thanks! Hey, there's nothing wrong with going SLOWLY. It's a lot easier to make an apology/retraction than it is to clean up after a horrible mistake. After humankind has raced into so many new technologies adversely affecting our environment, it's a natural and probably healthy reaction to want to slow down. As long as we'll all on the same page and looking for the greater good of helping the environment and acting responsibly, it's easy to switch positions in the light of new research. I'll be glad to switch my position. It's looking more like it. But let's let the concerns be squashed first. This could be potentially very exciting news that GMO could hold a lot of environmental SOLUTIONS, not problems. First, Lynas makes a big play on the fact that over “3 trillion GM meals” have been eaten, thus proving their safety. If that’s true, then I think you protest too much about the degree to which the anti GM movement has succeeded in limiting the technology. Second, I don’t think it’s true that there’s a scientific consensus on crop biotechnology – and inasmuch as there is, it’s largely because funding and jobs for biotechnology have crowded out the ecologists, entomologists, soil scientists, agronomists etc who might have taken a wider view. And the leaky EU ban on GMOs was informed by the science, not ideology. Third, if consumers don’t want GMOs for irrational reasons, so what? Corporate capitalism so often justifies its destruction of local jobs and economies on the basis of simply giving consumers what they want, so it’s amusing to see it squirm when people don’t want what it wishes to provide them. If people don’t want GMOs, hard luck – that’s market discipline for you. Fourth, what are the problems that GM is actually solving? I can see that it’s a potentially useful tool in the plant breeder’s box, but the over-inflated claims of its proponents that it can end world hunger, or end pest problems and so on are pure hokum. They’re unscientific too, but I think we’d generate a bit more light in this whole debate if each side stopped claiming the word “science” as a kind of magic incantation to try to discredit their opponents. Sorry, but I know plenty of scientists with no biotech industry funding who fully support that consensus. All those disciplines were well represented at a Biotech risk assessment conference I attended in Davis, CA in 1988. As for the "leaky ban" in the EU, its main leak has been for animal feed probably informed by the practical reality that Europe cannot feed itself without it. What consumers "want" when all they have heard are myths and intentionally disinformation is not a very meaningful measure. Have you noticed that most of the anti-GMO blog posts and advocacy group sites use images of large hypodermic needles filled with creepy colored liquids being injected into mature fruit, vegetables or sweet corn? For most consumers that completely misleading image is all they know about GMO crops so of course they don't want it. I often ask people, "would you eat cloned fruit?" Almost all answer, "No!" Then I explain that almost all fruit varieties have been clonally propagated for centuries. If I peppered the internet with scary stories about that, and if I could get Dr Oz to say that is what caused "belly fat" I could precipitate a drop in produce consumption. I agree with you that some make over ambitious claims for biotech. I have written before that only farmers can feed the world and that they do so by integrating all the tools available in terms of base genetics, traits, chemicals, equipment, biologicals...and that the mix of those depends on a host of factors that most armchair experts will never understand. That said, when you look at the overwhelming adoption of GMO wherever farmers are given the chance, it should make you realize that it must be a useful tool. What problems are they solving? Well, the control of weeds and insects is a problem for which many tools are desirable. Increased drought tolerance is very desirable. Turning the oil of soybean into one that is healthy and useful without hydrogenation (and thus transesterification) is pretty useful. In Florida a small company has moved the gene for bacterial blight resistance from pepper to tomato. That is a very useful thing. 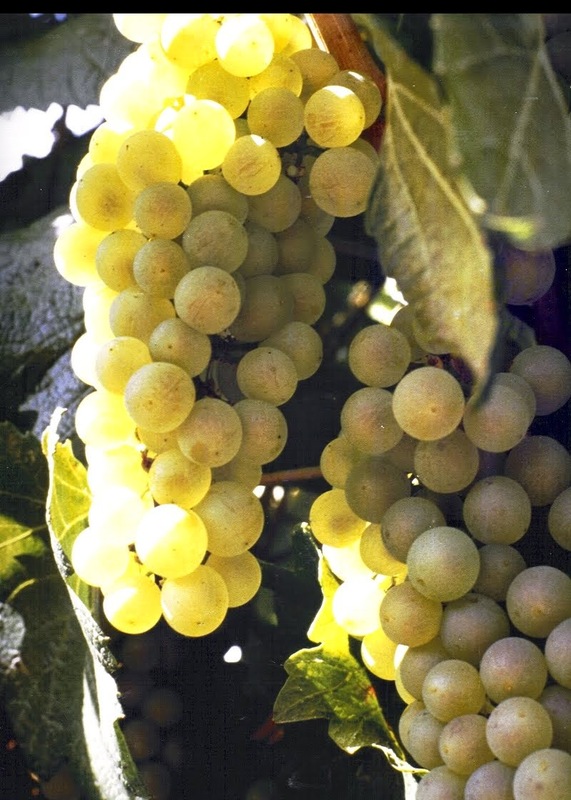 A virus resistant rootstock could have allowed viable grape production on some extremely prime land in France, Napa and elsewhere. That would have been useful in my book! Wheat that was far less prone to contamination with the mycotoxin, "vomitoxin" would have been quite useful. Potatoes that could be stored at cooler temperatures so that they are far less likely to rot would have been very useful to that industry. I think Lynas' most important point is that with the demand curve that we are facing, letting rich elites in import dependent regions dictate global technology policies using disinformation is not "OK"
Thanks for your reply, I appreciate it. Still not convinced though! It’s useful to know that the vast majority of the meals have been for animals. Lynas said “After 2 trillion meals have been served and eaten, I don’t think we need to discuss the safety of GM” – odd wording to refer to livestock fodder, and a tad disingenuous I think. If the emphasis is on upholding high scientific standards, then Lynas might look again at his statement – it’s not exactly a model of scientific rigor, is it? On the staples and vegetables, I hope we can hold out against the march of the GMOs because on the grounds of intellectual property, crop biodiversity, local self-determination and long-term pest control I think they’ll be a disaster. On the scientific consensus, yes there are plenty of scientists in favour, and there are plenty against. The former may well be in the majority – I suppose it depends what you mean by ‘consensus’. But the real issues aren’t so much about the science as about the politics and economics of it. Case in point: if Europe tightened its ban on GM feeds (and perhaps simultaneously relaxed its ban on pig swill) it could feed itself a lot more easily than at present if it wanted to. It would probably have to make do with less livestock, but that would be no bad thing. I agree with you when you say “What consumers "want" when all they have heard are myths and intentionally disinformation is not a very meaningful measure.” However, that argument has never cut any ice when local economies get steamrollered by the intentional disinformation of corporate business and its advertising, so agribusiness is hoisted by its own petard on this one. Big business prides itself on its ability to give the consumer exactly what s/he wants, so it really ought to go ahead and do so...with GM free food. Yes, there’s no doubt that some useful things can potentially be done with GM along the lines you mention, although that doesn’t mean that those issues can’t be tackled in other ways, and actually I’d question the likely success and indeed the usefulness of some of the things on your list. There’s also a great danger with GM of getting too excited about the clever things you can do in the lab to think through how they’re going to work in the field, and not just in a short field trial but over many farming generations. With GM I think we might well lose more than we’ll gain over the long haul. Rich elites in import dependent regions have always dictated global technology policies using disinformation without notably caring about it in the past (perhaps the issue we face with GM is that there are differences within the elites, and different kinds of disinformation). But yes, let’s work to democratise global technology and food policy – I think the result may not be much to the liking of American biotech companies. Thanks for staying engaged. If I convinced you in one blog and a comment I'd be surprised. Lynas still isn't off on the number of meals, it is just that most of them involved ingredients in processed food - soybean oil or meal, corn starch or germ, and yes, HFCS. Cottonseed oil ends up in certain foods. Canola oil is one of the few cases where the primary use of the GM crop is for human food. In Europe those ingredients have always been sourced differently - from sunflower and rapeseed, potatoes etc - that is why they can actually avoid labeling any food as GMO while still importing vast amounts of GM crops to feed animals. On the specialty crops - new varieties there are certainly patented as well as most crops have been since the 1930s. This idea that biotech has radically changed intellectual property comes from a lack of understanding of how biotech works, how patents and licenses work, how conventional breeding works, and how agricultural marketing works. I'm working on a series of posts about that because it really dosen't work anything like what people seem to imagine. As for biodiversity - GM plants have not changed anything about where genes can and can't flow - it is basic cross pollination biology. Seed for some crops has always had to be produced with sufficient isolation to generate pure lines. Again, nothing new or uniquely unmanagable about GMO except for phobias. When it comes to food, the consumer can still get what they want including the spoiled, rich, phobic ones. That sort of thing is covered by things like the organic market and other specialized sectors. I would never want to see the nature of the global food supply dictated by that elite group, but that is what has happened in the case of wheat. There are many nations that depend on wheat imports and whose citizens spend 50-80% of their income on food. When the US farmer grows wheat, they are not just growing it for artisan bread in Whole Foods. They are growing it for a global grain market that includes hundreds of millions of families in poor parts of the middle east, for poor families in Sub Saharan Africa, and for rich families in Japan and Europe. Should the last two dictate how food is produced for the former? That is what happened for biotech wheat and it didn't need to. As huge a commodity as wheat is, much of it is "identity preserved" because there are many different classes of wheat (Hard Red Spring, Soft White Winter) for different uses and even specific varieties for specialty products. It would not have been hard to have maintained dedicated non-GMO wheat production for markets that wanted that while allowing improvements on other sectors of the crop. But the European and Japanese buyers didn't want that fully knowing that if there was any GMO wheat, activists would intentionally use that fact to terrify the rich consumers who listened to them. Do you want to talk about callous control of the food market? If you want to talk about democratization of the food supply, and if you want to do that in a way that will actually get us fed, the most important "voters" need to be the farmers (within a rational regulatory framework). Dictating what farmers can and can't do from an uninformed and highly disinformed consumer preference in the rich world is not democracy. In the developed world we have the most diverse, safe and affordable diet options of any society in history. What is it you would like to buy that you cannot? If there are foods you don't think are healthy, who is putting a gun to your head saying you must buy them? Do some people make really poor choices? Yes! Thinking you will end that by removing the incentive for investment in the improvement of food is a really bad concept for humanity. Thanks again for replying – I’m finding your comments informative, even though I don’t agree with you. Where we disagree I think is mostly on how the global food system works, not on GM as such. I agree that GM doesn’t intrinsically change the game in terms of intellectual property etc, it’s just that when we start talking about GM cassava and suchlike it’s the death knell for peasant independence and self-determination. I raised the issue of biodiversity for the same reason – it’s not about GM technology and gene flow as such (though I do believe there are some issues there that you’re not addressing), it’s about the reduction in variation that occurs when agribusiness takes over from locally-saved seed. I don’t accept your narrative about US food exports, poverty and farmer choices. Far from alleviating global hunger and poverty, US and EU food exports have contributed to it. Anyone seriously concerned about poverty and hunger should be working on land reform and human rights issues, not GM crops. You assume that farmers and poor people want GM and it’s only consumers in the rich world who oppose it, but that’s just not true. Via Campesina, which represents 200 million peasants and small farmers globally (one of them being me), opposes GM on food sovereignty grounds. Historically, farmers have never got to vote about how the food system works, and the same has been true with the implementation of GM crops, which has scarcely been benign. Justifying GM in relation to farmer choice or the interests of the poor doesn’t wash.
You’re right of course that if we lived in a sensible world we wouldn’t base our whole economy around the irrational short-term whims of wealthy consumers. However, that’s precisely how the global economy has long been organised, to the great benefit of rich country agribusinesses which have not shown any notable concerns for global poverty until it’s suited them. Apologies for making light of it, but if those irrational whims are now helping to obstruct the further entrenchment of such businesses’ power then I’m lovin’ it. In every case I know of where GM crops are being developed for subsistence farmers, the intention is to make that technology free or at most encourage a locally based business to propagate (even that maybe subsidized). That would be true for Danforth Center's virus resistant Cassava, the Gates Foundation funded drought tolerant maize effort, and the Australian effort to get virus resistant food bananas for Africa. Monsanto long ago offered its GMO potato traits for free use in land-race potatoes in poor countries. Monsanto granted Cornell University free use of their CaMV promoter patent when Cornell developed the virus resistant papaya that saved the Hawaiian industry. Agribusinesses are not trying to take over locally saved seed - that does not even make sense from a business point of view. There are some places in the world that are transitioning to a slightly more "technified" agriculture - but what it takes to get there has more to do with infrastructure, and at least some basic and civil agricultural credit and crop insurance. If those things can be put into place, then the private investment that comes with a commercial seed market is a very good thing for local productivity. Ask the millions of Chinese and Indian peasant farmers who really like growing Bt cotton. Ask the Brazilian small farmers who are excited about the GMO dry beans that EMBRAPA has developed for them as a public sector effort. If Via Campesina wants to maintain their seed base and eschew improvements via biotechnology that is their choice. I don't understand why you wouldn't want to back-cross those traits into parts of your seed collection if it was free? If you or someone from your organization is interested, I would be happy to help help find contacts in any of the big ag companies who could better communicate their view of how their technology might be made available for the third world. You might be surprised to find out that these are really reasonable people who are nothing like the monsters some people imagine. Taking over (or at least supplanting) locally saved seed makes total sense from a business point of view. My guess is that Monsanto’s free donations will dry up the same way that the free bus services offered by new supermarkets to local villages dried up around here as soon as the village shops closed down. I’ll withhold judgment on GM papaya and cotton, but if we’re talking about food security I’m not sure either crop qualifies. Does anybody know what kind of refuges peasant farmers are planting with their cotton? Not everybody is happy with Bt cotton in India, and for those who are I suspect the happiness may be short lived. I might just take you up on your offer of agribusiness contacts some time. It wouldn’t surprise me at all if they were reasonable people who genuinely – if probably misguidedly – consider themselves to be helping poor farmers. The real monsters are the companies they work for, and necessarily so, because they’re part of a monstrous economic system. Thanks for debating anyway – it’s always nice to find a polite and knowledgeable adversary in the blogosphere. "To the quite interesting post in Applied Mythology, I can add that the cost of the impacts of the Anti-GMO movement identified by S.D. Savage in his blog, are much more profound in those countries that need the most this and any other technology that may contribute to alleviating hunger and poverty…developing countries. In such countries, like my home country Honduras, there is a desperate need of addressing production and productivity issues. Most importantly, the urgency exists to address the needs of small and resource poor farmers with crops and traits which are not likely to be addressed by the private sector including multinational companies. Those likely to address developing countries crops and traits are the international and national research, and academic institutions; precisely those who are more sensitive and vulnerable to increases in the complexity and the cost of compliance with biosafety regulations. Whether these organizations have the capacity to deliver an innovation to farmers are another story and thus one more blog entry in the near future…. We desperately need to rationalize biosafety regulations so that they are indeed protective, reasonable, feasible, transparent, cost and time effective, fair and thus functional. This is the only way to ensure that a potentially valuable tool will not be blocked from use in the future." Thanks for your contributions as well. The chance for occasional civil dialog even with great disagreement is what keeps me doing blogging as an unpaid distraction from my day job in the "monstrous economic system."